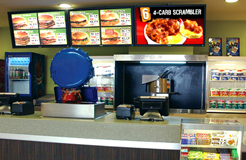 Digital menu board that changes base on time, locations and even live data source from your POS is necessity for modern F&B industry. 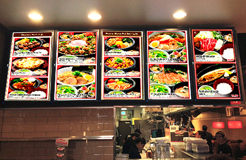 With our hosting service, digital menu board is no longer a tool for chain fast food enterprises. 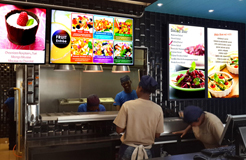 You can leverage our hosted infrastructure and backbone to manage your digital signage from a web based tool, change out graphics and update menus from any web browser or even your mobile device. The pay as you go monthly SAAS model is affordable for businesses of all sizes, ideal for cafe and boutique restaurants. All you will need is a display endpoint and internet connection. It helps to boost average order value by displaying more vibrant and dynamic content that drive customer's graving at the point of sales.